March travel presents very different scenarios depending on Carnival and Easter. If either one of those holidays is in March, travelers will be faced with multi-day package reservations for both. If neither of them is in March, many hotels in the top touristic destinations will be charging high season rates, but dispensing guests from the need to book several stays at once. That allows March travelers the chance to hop more frequently from one destination to the other throughout the month. Though some colleges only start the year in March, most kids up to high school have been back to school for over a month. It's still summer until the third week of the month (and by all means still rainy season in a great part of the country); however, the chance of having a whole beach all to yourself greatly increases at this time of the year, especially on weekdays. Locals will still be seeking the last of summer heat on weekends, so check with hotels about higher rates from Thursday or Friday to Sunday, a practice which may be applicable in other seasons as well. March weather in Brazil has always carried the possibility of summer storms and a high rainfall index along with hot weather. Throughout the country, expect warm, humid weather with the average low being 73 F and the average high hitting 85 F. The median temperature is about 79 F, and there are about 12 rainy days a month. For at-a-glance rainfall index average/temperature graphs for Brazil capitals through the year, see CPTEC weather maps. If you check the CPTEC maps for Brazil's Northeastern coastal capitals such as Natal or Fortaleza, you'll see how they still show high-temperature averages but have already entered their rainier season in March. Roughly speaking, beachgoers seeking the least chance of rain should concentrate on the stretch of coast between Búzios and Southern Bahia. Because of the hot temps and sticky weather, it's best to pack light clothes. Bring lots of breezy cotton fabrics, shorts, dresses, and a hat for the bright rays. If you're going to hit the beach, you'll want to include a big bottle of sunscreen and a few beach cover-ups for the swanky, oceanfront bars in Brazil. If Carnival or Easter are not in March, the month is marked by local rather than national holidays. 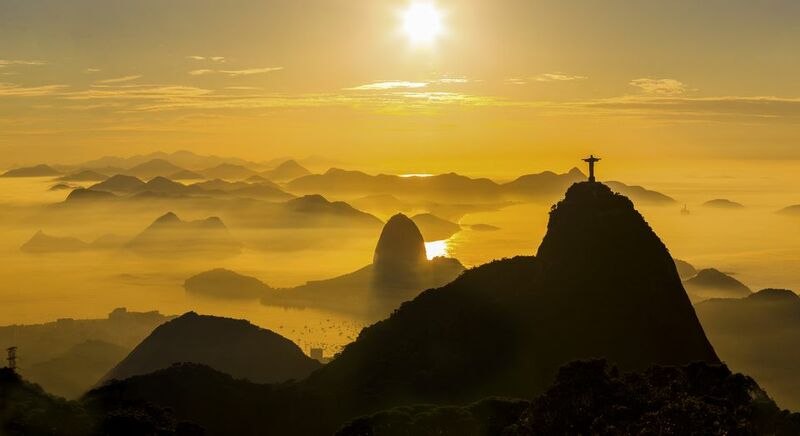 Rio de Janeiro, for example, commemorates the city's foundation on March 1 (the city was founded in 1565). The abrupt drop in number of tourists right after Carnival motivated Salvador to create a late summer festival called Espicha Verão ("Summer Stretcher"), also known as Praia 24 Horas ("24-Hour Beach"). Maybe other cities in Brazil will follow suit. What Are the State Abbreviations of Brazil? Is It Safe to Drink Tap Water in Brazil?